Pre-Wkt Pump from PHD Nutrition is a dietary supplement, specially designed to be taken before training, made of Arginine, Betaine, Oxystorm®, L-Norvalina, vitamins and minerals. 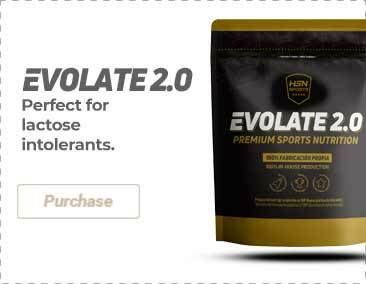 This supplement contains ingredients with great benefits and properties that help achieve the objectives set for training. Vitamin C is one of the most important vitamins for the body. We need to consume it through foods that contain this substance, such as vegetables and fruits. Among its many benefits, we emphasize that Vitamin C supplementation helps reduce tiredness and fatigue . Each service of this supplement gives us 50mg, which corresponds to 63% of the recommended daily amount . Arginine is an essential amino acid for several metabolic functions of our organism. A study was conducted on athletes and Arginine supplementation to see if a greater muscle mass was achieved and improved athletic performance . Each service of this supplement provides 2.15g of L-Arginine. Citrulline is an amino acid that can be found in many foods of animal and vegetable origin, but in recent years has been taken as a supplement due to the large number of benefits that contribute to the proper functioning of the human body. 1. Pahlavani N, Entezari MH, Nasiri M, Miri A, Rezaie M, Bagheri-Bidakhavidi M, Sadeghi O. The effect of l-arginine supplementation on body composition and performance in male athletes: a double-blinded randomized clinical trial. Eur J Clin Nutr. 2017 Apr;71(4):544-548. doi: 10.1038/ejcn.2016.266. Epub 2017 Jan 25. 2. Kiyici F, Eroglu H, Kishali NF, Burmaoglu G. The Effect of Citrulline/Malate on Blood Lactate Levels in Intensive Exercise. Biochem Genet. 2017 Jun 29. doi: 10.1007/s10528-017-9807-8. L-arginine, alpha-Ketoglutarate, Tri-Methyl Glycine, Taurine, Citrulline Malate, Oxystorm® (Amaranthus Cruenthus), Potassium bicarbonate, flavours, Acidity corrector (E330 Citric acid), Beet extract (Beta Vulgaris), L- Norvaline, Sodium bicarbonate, Vitamin C, Niacin, Colorant (E162 red beet), anti-caking agent (E551 silicon dioxide), sweeteners (E955 sucralose). Take 1 service (10g) daily. Mix one dispenser (10g) in 200ml of water and mix for 10 seconds. The consumption of this product is contraindicated for people with physical or psychical problems, those who take some type of medication, those under the age of 18, pregnant or lactating women and those who are under medical supervision. This product contains active ingredients that are capable of modifying the absorption or effect of medicines, consult your doctor before taking it. Nutritional supplements should not be used to replace a balanced diet. Do not exceed the stated recommended daily dose. Once opened, store in a cool (under 25ºC), dry and dark place. Keep out of reach of the smallest children. It contains caffeine. Not recommended for children nor pregnant or lactating women.